Can you believe you can install Original shades in just three steps? Just trim, peel, and stick. 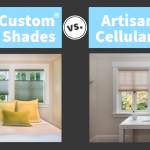 These shades are perfect for dorms, apartments, new homeowners, moving, and more! 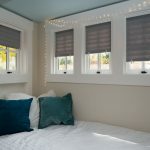 Anyone who is looking for a short or long term solution for window coverings can trust these easy and versatile shades. They come in a variety of materials, colors, and light control options to fit your needs. They can also be trimmed down or layered up to fit windows of any size. Bonus styling tip: you can even layer our Original shades with existing curtains to add an extra layer of privacy. Visit our installation instructions or watch the video below to learn just how easy it is to install Original shades.